Marathoners have reason to think twice before they nurse aches and pains with ibuprofen. New research shows taking pain pills may be harming the body, more than helping it. Stanford University researchers found ultramarathoners who took ibuprofen during races doubled their rate of kidney injury. It is not uncommon for people who exercise zealously to stress their kidneys because they are so dehydrated, but adding nonsteroidal anti-inflammatory drugs, or NSAIDs like ibuprofen, to the mix may make things worse. 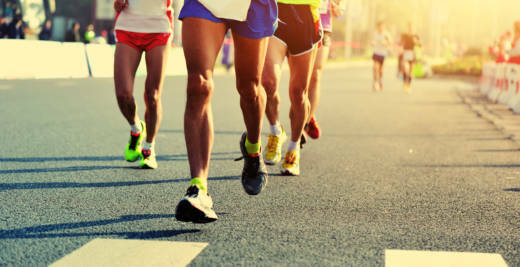 NSAIDs are the popular choice for athletes because they reduce pain and swelling. As many as 75 percent of athletes turn to NSAIDs before, during and after races, according to Dr. Grant Lipman. Lipman is a Stanford University emergency medical doctor and lead author of a new double-blind study published online this week in Emergency Medical Journal. Lipman randomly selected 89 runners who were participating in a seven-day, 155-mile ultramarathon. He divided them into two groups. One group took 400 milligrams of ibuprofen every four hours during a 50-mile section of the race; the other group took a sugar pill. Those racers who took ibuprofen had an 18 percent higher rate of kidney injury at the end of the race. Basically, one out of every five runners who took ibuprofen suffered an acute kidney injury, said Lipman. "That’s a pretty high rate," he added. When athletes push their limits they're already stressing their kidneys through both dehydration and muscle tissue break down. That's why, says UCSF nephrologist Dr. Kristen Johansen, those results are not surprising. "We tell all our kidney patient to avoid NSAIDs. The kidney is a big filter and we know non-steroidals interfere with the system." Lipman advises hard-core athletes to use alternative ways to nurse the body. “If you're hurting after your big event I say take an ice bath," Lipman says. "If you're running and you're hurting consider acetaminophen." Data show that most athletes with acute kidney injuries recover quickly but there are cautionary tales, like the 40-year-old Boulder triathlete who died from renal failure a few days after competing in an Ironman. Lipman stresses that the results of his study do not apply to everyday athletes like those of us who go for a trail run.